Book reviews appear in a variety of publications including academic journals, magazines, newspapers and on websites. However, surprisingly little has been written about how a book review should be written. These activities, aimed primarily at postgraduate research students focus on writing book reviews for academic journals, though the principles can be applied to writing other kinds of book reviews too. Activity 1: What is a book review? You have probably read book reviews in newspapers, magazines, online or possibly in academic journals. The 'book report' is a common form of activity in school, though probably more so in North America than in the UK. This first activity will help you to think about what a book review is. In your opinion, what is the purpose of a book review? Make notes in the box below. You may like to think about your experience of writing book reports at school or reading book reviews in newspapers, magazines, online or in academic journals. •	A book review explains to the reader what a book is about. •	It gives an opinion of whether a book is good or bad. •	It says whether a book is boring, interesting, exciting or contains new or controversial ideas. This activity has considered books reviews in general. 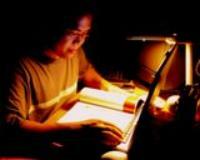 The following activites are more specifically focused on book reviews for academic journals. Activity 2: What is the purpose of an academic book review? Many academic journals have book review sections. Subject associations sometimes put calls for book reviewers in their newsletters or e-mails lists along with a list of books that need reviewing for their journal. Even if the journals in your field do not do this, there is no harm in contacting the book review editor and asking him/her if you can review a book. Look at the following list of reasons for writing a book review. Decide whether you think they are good reasons or bad reasons by selecting the appropriate button underneath each one. These could all be good reasons for doing a book review. For many postgraduate students a book review will be their first publication, it is nice to get a free book, and hopefully the book will be useful to you in your own research. However, the main purpose of the book review is to evaluate the book in a way which will help others decide whether or not they ought to read it. Activity 3: What questions should you ask and answer when writing a book review? It is likely that most readers of your review will not have read the book you are reviewing. Ultimately your task is to help the reader to decide whether or not to read the book. Look at the following list. What questions should you ask and answer when writing a book review? Select the tick symbol next to those questions you think are good ones, and select the cross next to those which you think are bad reasons. What contribution does the book make to your field of study? What are the author's key arguments? What audience is the book aimed at? Is it worthwhile for others to read it? Does the the book support or challenge existing scholarship in the field? Readers of your review will want to know the answers to all of these questions. Book reviews vary in the ways in which they are written and structured but good ones will answer all of these questions. Activity 4: What are the characteristics of a good book review? In this activity, you will examine Sarah Rule's 2009 review of John Field's book 'Listening in the Language Classroom,' an academic review which was published in Liaison, the magazine for the Subject Centre for Languages, Linguistics and Area Studies. You will read this review and then consider the characteristics of good reviews. Open the link below and read the review. Use the review to decide what the characteristics of a good book review are and tick the boxes beside those aspects you feel are characteristic of good book reviews. Is full of praise for the author for a book that the review thinks is really good. Book reviews should focus on evaluating the book. Academic articles, not book reviews, are the most appropriate place to advance your own arguments. Book reviews are also not the place to tell everyone how much you love or hate the person who wrote the book. You may also wish to comment on the price of the book. If a book is good, but too expensive you may wish to say this. Some reviewers may criticise the author’s writing style or the editorial work on the book—if you wish to do this, remember to be polite. Book reviews are usually short pieces of work (perhaps as little as 300 words). It can be very challenging to do all these things with so few words, but it is possible. - Writing a book review is a good way of getting your first publication. - A good book review will summarise the author's main arguments and will evaluate its contribution to the field of study. - Book reviews need to be written with care. The book review is about the book, not about you or your opinion of the author. - Writing a good book review is very challenging, but can be a very rewarding excerise. The rationale behind this book is that Field feels listening is the most neglected of the four language skills in the language classroom. He claims the current emphasis on assessing listening skills through comprehension-type exercises is both limited and mistaken because teachers do not give any thought to the psychological processes involved in listening. 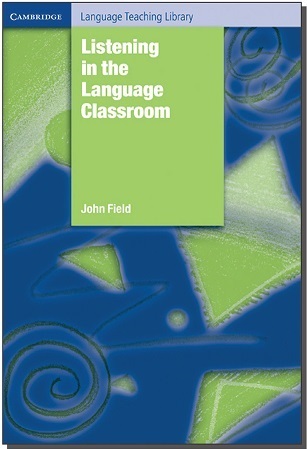 The book is based mainly on his experience in the EFL world, but Field believes it is also appropriate for modern foreign language (MFL) teachers (p4). However, MFL tutors at university level would probably disagree with his claim that listening tasks at this level are based solely on comprehension exercises. The book is primarily a methodology book for teaching listening, and the methodology is informed by the two fundamental psychological processes involved in listening: decoding and meaning-building. Field wants listening to be treated as a form of expertise (p33) and learners to be trained in the different listening skills. His writing is informed by his knowledge of the psychological processes behind listening (Field 2003 and 2004) and the differences between first language (L1) processing and second language (L2) processing (Field 2008). He suggests that teachers would benefit from access to the discussion on listening theory that takes place in academic journals. Throughout the book useful exercises and sample lessons are provided to help the teacher train the learner in the relevant skills. Initially, Field suggests ways in which the current methodology can be adapted to make it more viable to the learner. In his view it is more appropriate to base programmes on the behaviour of expert listeners (adult L1 listeners), and he argues that current listening comprehension exercises do not match listening outside of the classroom, where there are greater demands for flexibility and a great range of listening types, and where far more participation is required from the listener. His main emphasis throughout the book lies in understanding the processes of listening in L1 and training listeners to apply these processes in L2 listening. Learners need to learn how to decode the stream of sound in the L2, a process they cannot or do not transfer from their L1 listening skills and processes. In L1 listeners decode automatically and learners need to be trained to decode automatically in L2 listening. In the other process, meaning-building, learners can draw upon processes already employed in the L1 but Field suggests that L2 learners do not automatically do this, as decoding is not automatic. So Field places great emphasis on L2 learners practising to gain automaticity in decoding (p119). Field goes on to present psycholinguistic information about how decoding works based on research carried out on phonological and lexical segmentation. There is a need to reduce the challenges for the L2 listener by continually providing concrete examples. Phoneme andword recognition are major sources of concern for low-level L2 learners. There is also the continual problem of variability within the input for all levels of L2 learner. Again Field suggests focused small-scale practice to deal with these issues. In discussing the second main process in listening, meaning-building, Field claims that meaning-related processes in L1 are not necessarily transferred to building meaning in L2 listening, as decoding in L2 requires so much effort and clogs up the working memory (p213). Again Field suggests systematic training and exercises that ensure the well-practised L1 processes are applied to L2 listening. Finally he proposes that alongside an incremental approach to building skills, the learner has to learn to cope with demands outside the classroom and although this is not a new approach, Field strongly advocates the use of authentic texts. Additionally he claims that the learners need to be guided in using compensatory strategies when communication breaks down. These skills are distinctive to the processes “which make up the expertise of the skilled and experienced listener” (p287). Dr Sarah Rule is a Lecturer in Linguistics at the University of Southampton. As this is a book for teachers, Field attempts to simplify the theory and sometimes makes claims that lack substantive evidence, but he also successfully avoids using too much technical vocabulary and directs the reader to further pertinent sources at the end of each chapter. It is a useful and informative book which provides evidence of how research into language processing can inform methodology in the L2 classroom. Field, J.C. (2003) Psycholinguistics: A resource book for students. London: Routledge. Field, J.C. (2004) Psycholinguistics: the Key Concepts. London: Routledge. Field, J.C. (2008) Bricks or mortar: Which parts of the input does a second language listener rely on? TESOL Quarterly. Special Issue on “Psycholinguistics and TESOL”. My daughter sits at the dinner table giggling occasionally as she eats and carries on a conversation – or multiple conversations – by text on her mobile phone. Later I check some blogs written by my students and notice my son is online so I send him an instant message and get a more or less instant reply. I learnt about instant messaging from my students, who always seemed to have several conversations going in my CALL classes while, occasionally, doing the task I had set them. I learnt about mobile phones from my son, who set me right on the tariff and the features I needed (nothing too complicated for you Dad). I learnt blogging from my daughter - and about Facebook and Twitter (how else would I find out what she was up to?). You see, my students and my children are “digital natives” (to use Palfrey and Gasser’s term), and I am a “digital immigrant”. 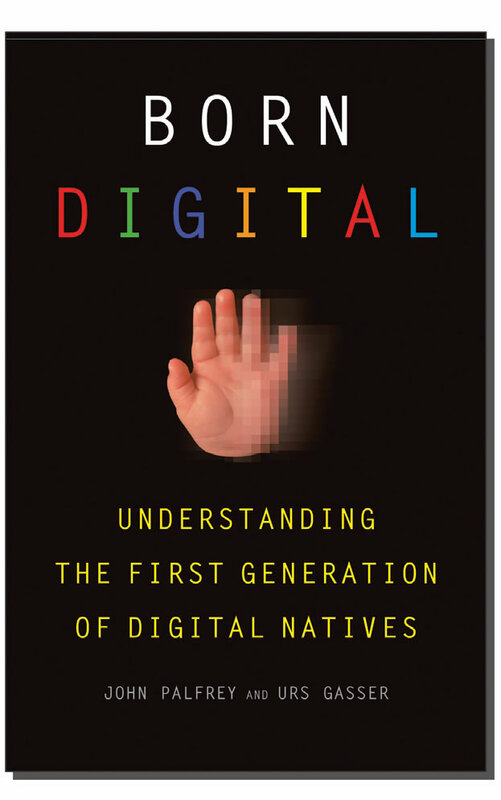 “Digital natives” have been born into a world where mobile phones, computers, and, especially, the internet, have been an integral part of their lives, and the book deals with ways of bridging the gap in knowledge and experience between them and their “digital immigrant” parents and teachers. The book is wide-ranging, dealing with topics such as privacy and safety, copyright, information quality, information overload, video games, digital innovation, creativity, and learning. To deal with the issues of privacy and safety the authors recommend the need for corporate responsibility, technical solutions,and legal measures, but especially for education. In fact the emphasis throughout the book is on education, with recommendations that parents and schools take responsibility for developing digital literacy among the “digital natives”. They suggest, however, that digital education should be a two-way process, with parents and children, teachers and students, and (because they also distinguish between more and less savvy “digital natives”), students and students, working together to educate each other. Most importantly they suggest that much of what needs to be learnt and taught to survive in the digital world is not fundamentally different from what is needed in the non-digital world. What is written on the web should not be accepted uncritically, and while Wikipedia might be the first port of call, what is found there needs to be cross-referenced against other sources, the authorship of websites should be checked, and digital plagiarism is still plagiarism. Teachers will recognise these as issues to be dealt with in critical reading and study skills activities, whether digital or non-digital, which are carried out at school and university level. The book devotes one chapter to “learning”, which, for “digital natives”, they characterise as a multi-tasking process that involves “grazing”, a “deep-dive” and a “feedback loop”. Although “digital natives” read less in conventional media, through “grazing” online (e.g. news headlines from a variety of sources) they are potentially exposed to far greater amounts of information than earlier generations, and, providing they combine “grazing” with exploring a topic in detail (“deep-diving”), and reflect on what they have found (the “feedback loop”), they are likely to learn at least as much as earlier generations of learner (though the authors provide little concrete evidence for this claim). The authors point out some of the creative possibilities presented by technology (podcasts, slide shows in PowerPoint, video editing using Movie Maker) and some of the opportunities these activities offer for dealing with issues such as copyright. They recommend, however, that technology should be integrated into the curriculum rather than used for its own sake, and report evidence that learners themselves prefer a blended learning approach, with a moderate use of technology. Scott Windeatt is Head of the Applied Linguistics and TESOL section in the School of Education, Communication and Language Sciences at Newcastle University. Topics in the book are dealt with thoroughly, though perhaps sometimes rather repetitively (I felt at times as if the book was made up of what had originally been a series of articles). The authors take a sensible approach to the potential dangers for “digital natives” and acknowledge that there are no simple solutions to the problems they identify, pointing out the potentially negative side-effects of some commonly favoured solutions. They provide references for many of their claims, and these are often illustrated with quotes from subjects interviewed for their work on the book. As an overview of the topic the book is likely to appeal especially to schoolteachers and parents. As a university teacher and a more experienced “digital immigrant” I found their recommendations on learning with technology sensible rather than new. However I certainly found much of interest in the book, and at least one idea that I will use with my own students.